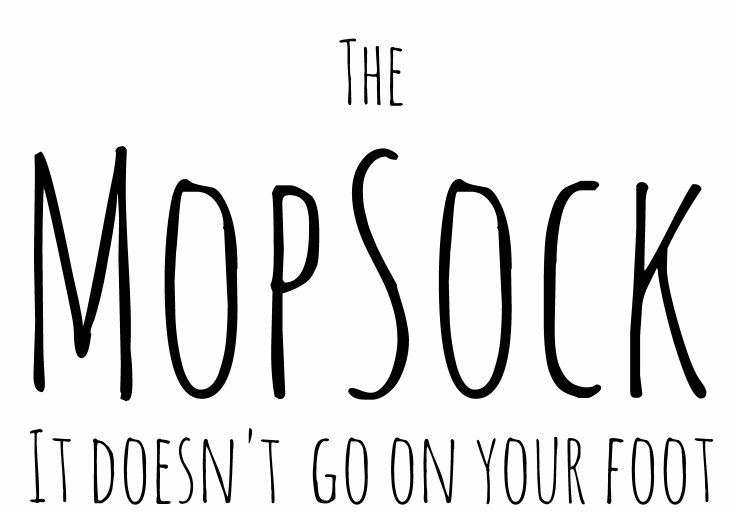 Mopsocks have been developed by mother of two, Hannah Smith. After years of mops sitting rusty and unused in the cupboard and trying almost every cleaning product on the market, Hannah gave up and cleaned her floor the old fashioned way - on her hands and knees using a decent cloth! One day after vacuuming she threw her wet cloth onto the floor and, using the vacuum's suction to hold it in place, mopped her floor with the vacuum handle. This worked brilliantly but was not so great for her vacuum's motor. As an industrial design graduate, Hannah immediately set about designing a product that did not need to be sucked onto the end of the vacuum but instead fitted onto the head of the floor tool. The final design was a microfibre quilted sponge that was fabricated to fit snugly over the floor tool of a vacuum and could be used with the vacuum switched off. Once she had a prototype she found that it also fitted over her broom. The “Mopsock” was born.